Thomas Yeo is a prominent Singapore second-generation artist. Educated at the Nanyang Academy of Fine Arts, Chelsea School of Art (now Chelsea College of Art and Design) and Hammersmith College of Art and Building,his modern works have been described as "highly imaginative landscapes of the unconscious mind." He is also an active supporter of Singapore and Southeast Asian art,and has served as chairman of the Shell Discovery Art Awards and president of the Modern Art Society, Singapore. In 1984, Yeo received the UOB Painting of the Year award and the Cultural Medallion for his contributions to visual arts in Singapore. Born in Singapore in 1936, Thomas Yeo had his first encounter with art as a student in Tao Nan Primary School. With Art as a compulsory passing subject, Yeo and his classmates would have art classes every Wednesday morning with their art teacher Mr Sim. Fascinated by the painting demonstrations that his teacher would give them, Yeo began to consider art as a serious pursuit. From there, Yeo delved more deeply into his interest, and visited libraries regularly to read up on artists such as Van Gogh, Gauguin and Picasso. When he started working and earning money, Yeo bought several art books to feed his passion, amassing a large collection that he treasured deeply. In 1958, Yeo started his formal art studies at the Nanyang Academy of Fine Arts and graduated from the academy in 1960. He then set his sights on going to London to further his studies at the Chelsea School of Art (now Chelsea College of Art and Design). 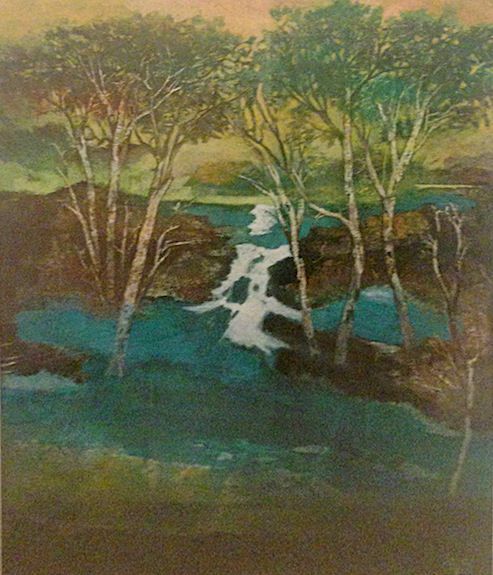 He had painted every weekend for the past year, building up a collection of about 60 paintings, and so decided to also hold an exhibition to try and sell his paintings to raise funds for this endeavour. The exhibition was opened by then Deputy Prime Minister Toh Chin Chye and the publicity meant that Yeo sold around 50 of his paintings within three days. On the last day of the exhibition, an English tourist—upon learning of Yeo’s intentions to study in London—bought up the rest of the unsold paintings. Yeo moved to London, UK to attend the Chelsea School of Art in 1960 shortly after his exhibition. There, Yeo was struck by the independent culture and attitude of the art school’s students and staff, which was vastly different from his days at the Nanyang Academy of Fine Arts. Spurred on by criticism of his work by an art teacher, Yeo immersed himself in art, visiting the Tate Modern every Saturday to study the artworks there and listen to talks. Not wanting to waste any free time he had, Yeo also began attending classes at the Hammersmith College of Art and Building in the evenings, learning crafts and techniques in polyester resin, marble, stained glass, and other techniques that were used in art-making. Soon, he found his studies at Hammersmith to be more enriching and useful, and he left the Chelsea School of Art and started attending the college as a full-time student. Returning to Singapore after he graduated from Hammersmith, Yeo set to work on his artistic practice, becoming a significant Singapore second-generation artist over the next few decades.Predominantly a painter, Yeo employed a variety of painting media, like gouache, oils and acrylics. His early works showed quiet surrealist natural environments—“mindscapes” as they were sometimes called,—with wispy images of trees, in which occasionally nestle slight hints of rural houses. Later he developed bolder abstractions of colour and textures. Described as “first and foremost a colourist” by fellow artist and critic Chia Wai Hon, Yeo’s paintings place colour as their topmost priority, with their subjects being of secondary importance. 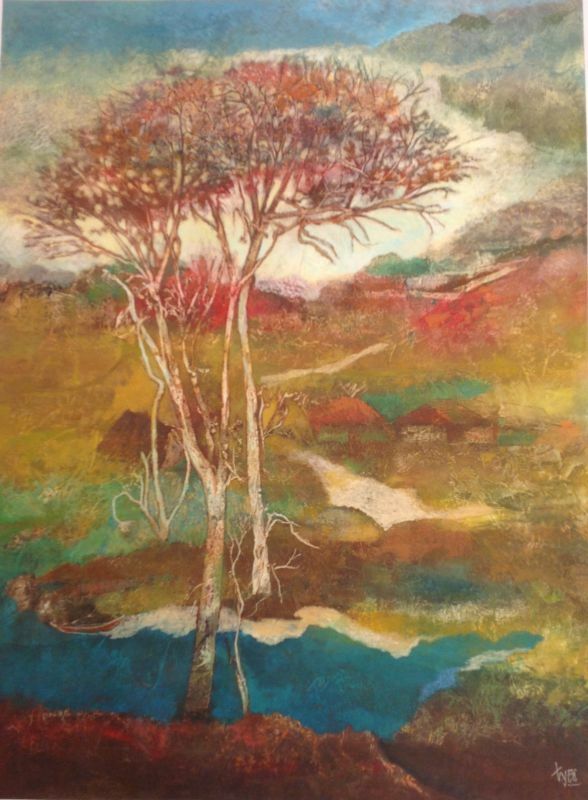 Yeo’s work in the ’80s prompted Chia to describe his output as “highly imaginative landscapes of the subconscious mind.” Throughout the decades, Yeo embarked on long journeys across the borders of the countries in Indochina, like Thailand, Myanmar, Cambodia, Laos and China. 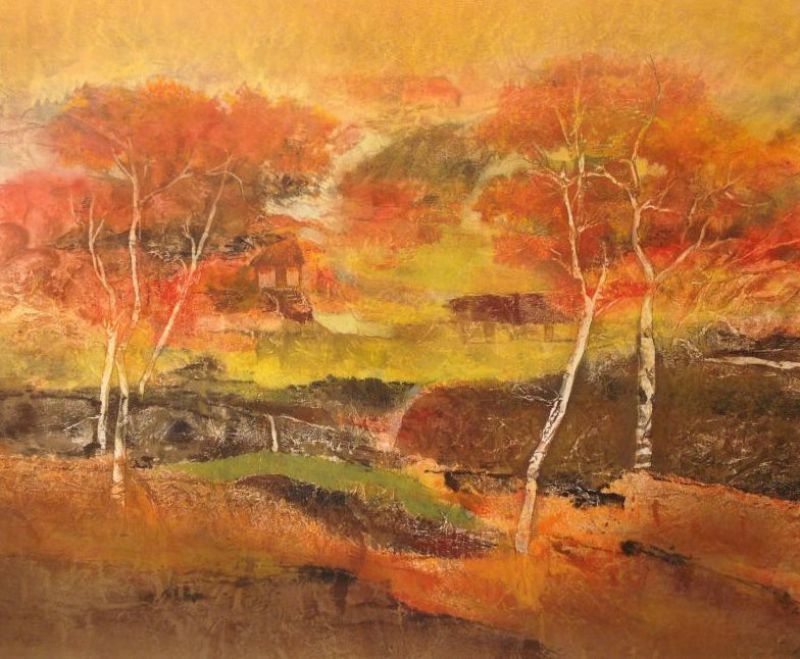 The landscapes that he travelled through offered points of inspiration and deepened his insights. The works that arose from his travels were works of self-expression inspired from his interactions and experiences. 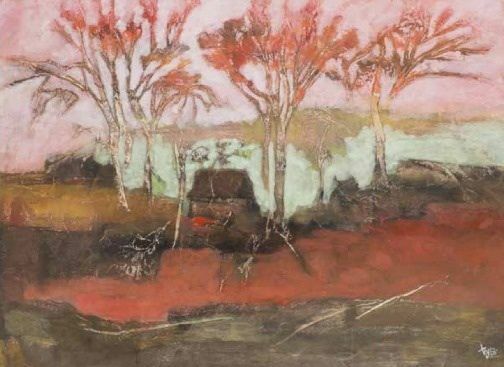 Although Yeo is known more for his abstract paintings, he produced some figurative works as well, forming a deeper connection to it in recent years. He developed a series of portraits, better described as heads, which are faces of friends and strangers that he encountered on his trips abroad. 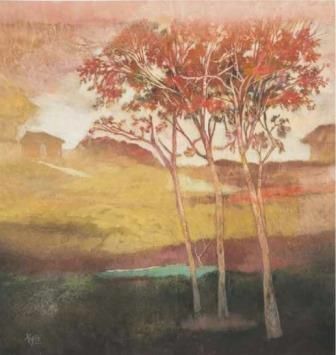 Yeo’s art works have been widely exhibited in Singapore, Southeast Asia, Europe, and countries such as USA, Australia, Japan, Korea and Macau. He has presented 39 solo exhibitions and participated in more than 100 exhibitions. "It's easy to say I want to be an artist because I love art. But this love alone is not enough. There are three things you must do to be an artist: You must have a dream—dream every day and night that you want to be an artist and of why you want to be an artist; you must have passion—all the time wherever you go, you are constantly thinking "I must draw this. I must create that"; and you must suppress your other interests and have discipline. The priority is always art and nothing else."